When does your weekend start? Curtain down on Saturday night. A good take away, The X Factor on the TV and my baby. Theatre and then dinner with friends. Liverpool – L1 you can get anything you want. Weekend you’d love to live again? Singing at the Royal Albert Hall, duetting with Jose Carreras on his Christmas show, with all my family sitting in a box in front of me. Weekend you’d hate to live again? When I was 19, my first job abroad was singing in Portugal. My wages for the month got stolen as I slept in my hotel room. I caught chickenpox and was not allowed to leave the country and while having a face full of blisters I had to sing on the Miss Portugal beauty competition live on TV. I sang Somewhere Over the Rainbow with a face like a map of the moon while all the beauty queens walked around me in circles with bikinis on. Your cure for the Sunday blues? Your dream weekend (if money was no object)? Fly to New York first class with my mum then we’d go shopping, eat great food and watch as many Broadway shows as we could squeeze in. 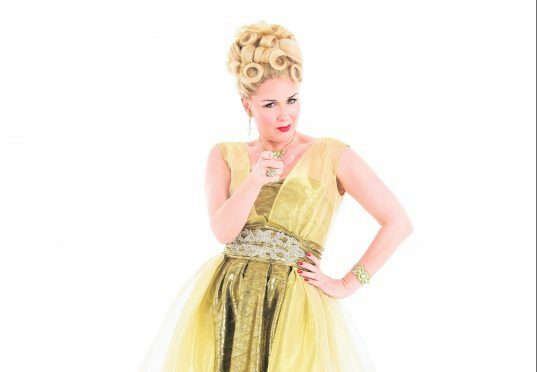 Catch Claire Sweeney in Hairspray, which visits Aberdeen’s HM Theatre from February 1 to February 6 and then Inverness’s Eden Court from February 29 until March 5.